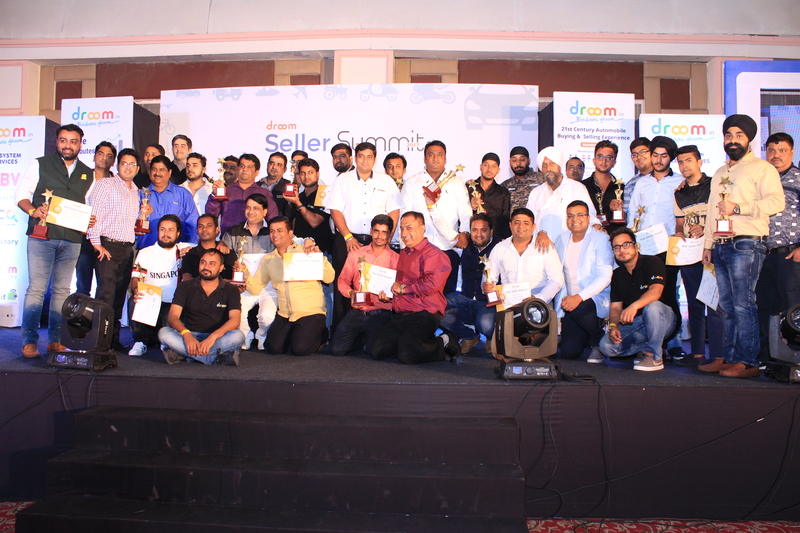 Every year Droom celebrates its combined success with its seller community. On 28th August 2017, Droom organised exclusive Seller Summit 2017 in Ocean Pearl Retreat – New Delhi. This was the third Seller Summit. The purpose of the event was to build the world’s largest seller community, recognise star sellers who have excelled on Droom platform and help each seller understand more about Droom platform and its offerings. Over 600 automobile sellers from Delhi/NCR, Ludhiana, Hisar, Jaipur, Bhatinda, Roorkee, Meerut, and more were the part of this event. Droom Seller Summit was a magnificent gala evening with drinks/dinner, music, and lots of entertainment. The event was a great opportunity to build largest automobile seller community and share best practices for selling online. Also, sellers were excited to meet and interact with Droom’s leadership team and know more about the platform. Undoubtedly, the event was a huge success. Sellers were happy to use Droom’s technically advanced platform offerings and ecosystem services and know more about them. Eco Inspection, Droom History and Droom Credit were the main attractions of the event as sellers were excited to adopt these ecosystem services to build trust around their listings. Lots of sellers were excited to share their experience of using Orange Book Value (OBV) as the benchmark for pricing their used automobile inventory. Droom Star Seller Awards was another important highlight of the event, where top performing sellers were felicitated for their outstanding work in various spheres. The Seller Summit 2017 also included keynotes by Mr. Sandeep Aggarwal (founder & ceo, Droom) & Mr. Rishab Malik (co-founder & svp business development, Droom), Seller Panel session where different sellers shared their experience with Droom, Q&A session with Droom’s leadership team where sellers clarified their queries, OBV quiz, some sizzling dance performances, raffle draw, and much more.